Katrina was recently commissioned by Grazia to capture images of some beautiful sunglasses in time for the sunnier weather, which are out in this weeks edition of the magazine! Katrina worked with stylist Sophie Henderson and together the pair created these four images that showcased this seasons sunglasses shapes and styles from cat eye to visor and pastel 70’s to jewel encrusted frames! 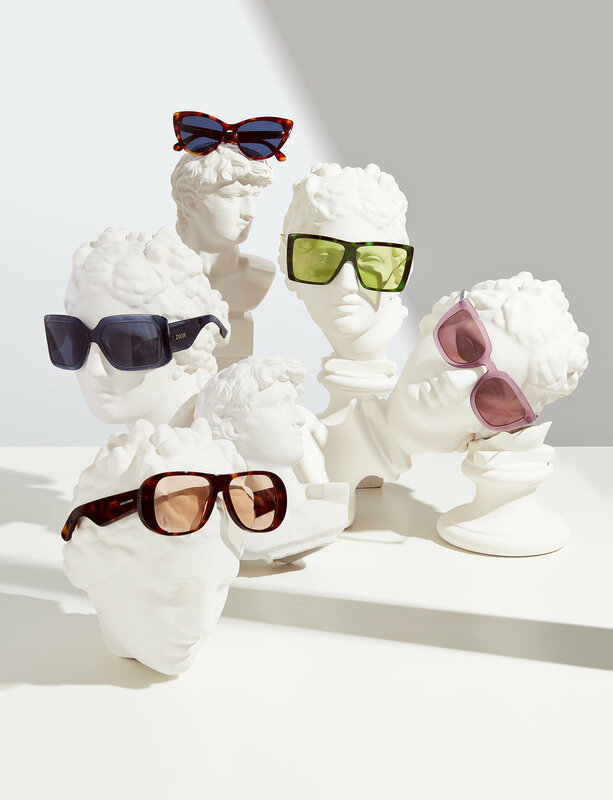 Katrina captured the sunglasses grouped together on Romanesque busts to display them in a fun and playful way, the final images were then retouched by the fantastic team at The Forge. Amazing work! To see the images in print yourself pick up a copy of this weeks Grazia!